Live album containing recordings compiled from the 1992 world tour. Absolutely brilliant recording, but the official release in truncated from the original setlist. I recommend Ghent 1992, which can be ordered on Jarboe's website in the live CDr section. It is a good recording and includes the full vocal versions of Power and Sacrifice and Will We Survive. It also includes Failure, Identity and In the Eyes of Nature. Hopefully, a full 1992 show will be officially released someday, but this show is highly recommended. PLEASE PLEASE PLEASE - SOMEONE PLEASE PUT THIS UP FOR SALE (WITHIN REASON). ONE OF THE ONLY ITEMS I DON'T HAVE IN MY COLLECTION, AND I WANT IT. IT LOOKS SO GOOD, I LOVE THESE CASSETTE PROMOS. I WILL GLADLY PAY A REASONABLE PRICE FOR THIS, THAT IS NOT 500 OR A THOUSAND DOLLARS. - Other Side Of The World and God Loves America come from the BBC Session 1992 (at least the main song. Intro and outro of the songs have been added from other sources). -Omnipotent is Rutting played at half speed. Unfortunately the album doesn't include Identity and Failures, that were also played during the tour. Amazing collection. Great recording and sound for all these wonderful pieces of work. Wish it was longer! A definite must-have. 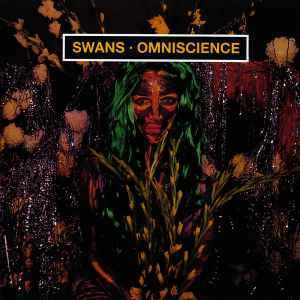 Your journey with Swans will not be complete until you have heard this. Simply stellar performances all around. So glad "Amnesia" is included!